Get ready to elevate your business and grow your ezyVet knowledge. We're excited to announce the launch of our first ever ezyVet user conference! To be held 5-8 March 2019, in Queenstown New Zealand. ezyVet CEO Hadleigh Bognuda says "Off the back of a successful Masterclass event earlier this year in Dallas and the speed at which our user base continues to grow, we wanted to create a forum that will empower our customers and enable them to connect and engage with each other, our team and key partners." Get face to face with the ezyVet team and partners. Share expertise and experiences with other ezyVet users. Hear inspiring words from industry professionals and business and thought leaders. Get ahead of topics and technology set to transform your business. Build your own agenda and pick which Breakout Sessions you want to attend. We don't want this to be just any old conference...so we've coupled thrilling activities and a breath-taking location with Keynote Speakers, Breakout Sessions and Panel Discussions, to create an agenda that will help you elevate your business, grow your ezyVet knowledge and get inspired by fellow industry professionals. Our Keynote Speakers are being selected to inform and inspire you about topics that will help you transform your practice. 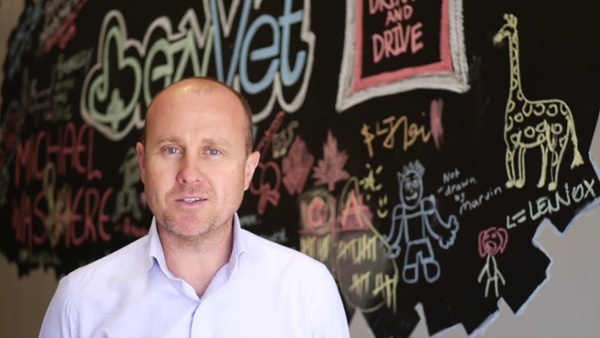 You'll also hear about game changing ezyVet initiatives, from key members of the ezyVet team, including our CEO Hadleigh, our new COO David, our Key Accounts Manager Jess and so many more. Twenty Breakout Sessions have been announced. Two sessions will run concurrently, so you can tailor the schedule to your learning requirements and select the topic of your choice or divide and conquer different sessions between your team. Attend an advanced session on Automated Reporting with our Development Success Manager Marcus Atkins, or join an in-depth discussion on the use of clinical templates with Implementation Special Forces lead Sophie Griffiths and our Large Project Team Leaders Alex Ragone. If you've been to Queenstown before then we need say no more....the three day conference will take place at the Heritage Hotel. A hotel experience certain to leave you breathless. There are a number of Social Events included in the schedule, an opportunity to get to know the ezyVet team, key partners and other attendees. Unmissable events include; Networking Drinks, Activity Afternoon, Closing Party and Optional Golf Day. Early Bird tickets are on sale now! Get your Unleash Pass for $709nzd ($466usd* & $653aud*) per person or save $100 with 3 or more for $609nzd per person. View the full pricing details here. Registrations are now open for everyone! You can find out more information about the whole event on our Unleash website. *Prices for USD and AUD will vary depending on exchange rate at time of purchase.